This plate is just the right size to hold your child's meal. It will be a favourite part of mealtime. Little ones will love having their very own plate featuring their favourite character. The collection is perfect for mixing and matching. This character print plate has 5 compartments and is made from Melamine. 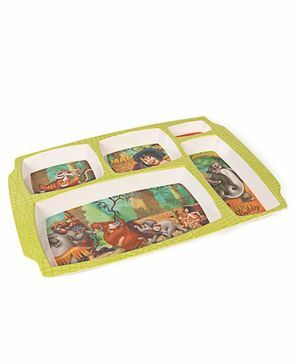 Unique and attractive shape of plate offers great grip to kids. This avoids any possible mess.